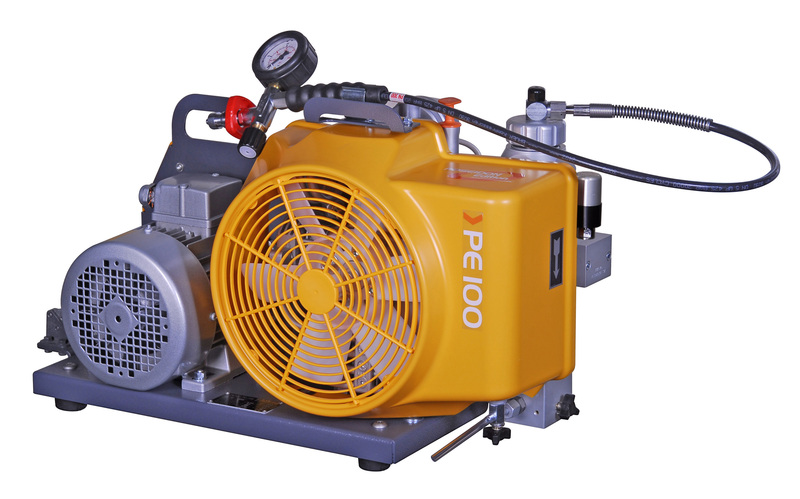 The Bauer PE 100 is a robust and compact high-pressure compressor suitable for a wide range of operations. The Bauer PE 100 compressor is by far the smallest and lightest compressor unit of the PE range. With its three drive variants petrol, three-phase and single-phase alternating current it is suitable for a wide variety of applications, whether ashore, in vehicles or on the high seas. 1 Only one operating pressure per unit possible.